The BBC website has a ‘Religion & Ethics’ section which includes a page on “featured religions and beliefs“. Included on that page is a link to the section on Judaism and there, under the heading “Holy Days”, BBC audiences can read about Purim. Curiously, much of the (uncredited) information there bears a remarkable resemblance to that provided on a website called ‘Judaism 101’ and in fact a link to that site – as well as to Wikipedia (yes, really) – appears on the page. 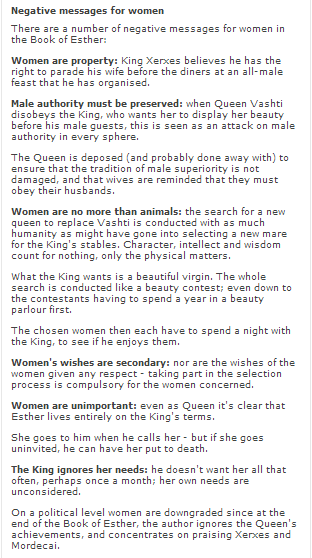 But the BBC has also added some interpretations of its own to the Purim story and has made the shocking discovery that a 2,500 year-old text contains “negative messages for women”. Now of course the question of whether or not there is actually any educational or intellectual value in applying modern-day mores to a millennia-old traditional story is a debate in itself, but if the BBC has chosen to go down that dubious route, one would at least expect it to be consistent in that practice. So we might for example perhaps expect to read some BBC criticism on the topic of the “negative messages” for young adults conveyed by the claim of a virgin pregnancy in its section dealing with the Christmas story or a science-based deconstruction of the notion of resurrection in its page on Easter – but we don’t. Likewise, explanation of any “negative messages” conveyed by the practice of animal sacrifice does not appear in sections relating to the Santeria faith or the Muslim holiday of Eid el Adha. But at least the BBC is consistent in showing its inconsistency – and in providing Purim laughs. 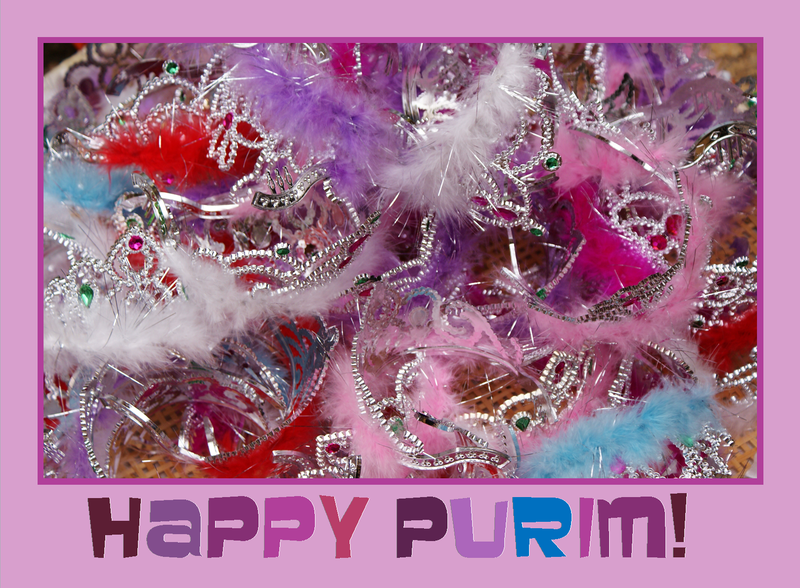 Wishing a very happy holiday to all our readers celebrating Purim! 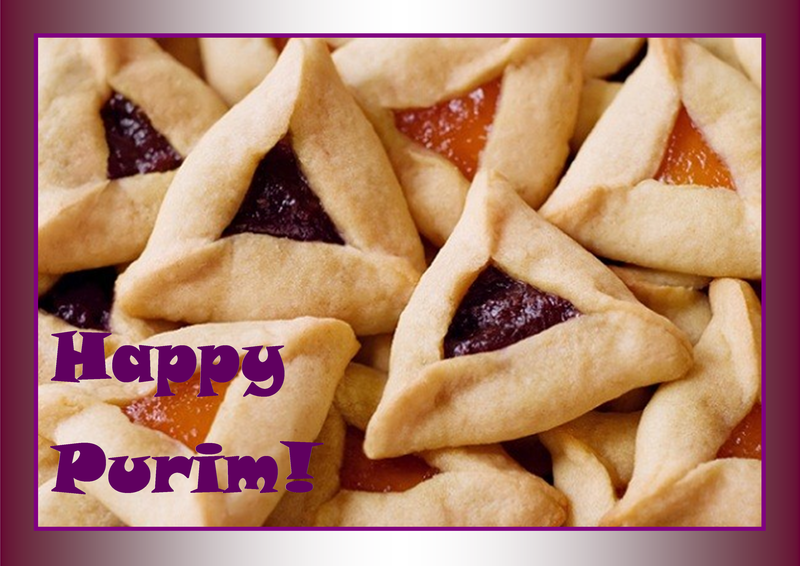 Wishing all readers celebrating Purim a very happy holiday. Purim is of course a festival marked with plenty of humour. The BBC has – perhaps unwittingly – contributed some laughs with its attempt to ‘do’ Purim in an article – placed in the Travel section of its website – which makes a clear case for writers not to indulge in unfamiliar alcohol when committed to accuracy.